Somewhat like the book series Chicken Soup for the Soul, our days at the radio repair facility can consist of true stories about ordinary people’s lives and they way they use and sometime abuse their 2-way radios. Today the subject of soup came up because of an interestingly packaged Motorola BPR40 radio, which came in for repair packaged in an AT&T cellphone box and an open, but clean, soup package. The radio suffers from low receive (Rx) audio, and the user says it can faintly be heard. Currently the radio is in line awaiting the electronics technician’s careful assessment. Barring any unforeseen circumstance this BPR40 radio should be repaired and headed back to the tofu with spinach soup eating customer in just a few days. Did you know Delmmar’s radio repair center does repair on Motorola 2-Way Radios and Kenwood 2-way Radios? Yes, it is true. We keep a large supply of common failure parts on hand, and have skilled electronics technicians on staff to repair your existing radios. Did you also know radio repair is typically less than one-third the price of buy a new radio? We are always happy to help you with either option, repairing your existing units or purchasing replacements. This week we happened to have a few radios on hold awaiting parts, two from Alabama and one Kenwood Protalk from Illinois. Barring any unforeseen circumstance, the parts should arrive in a timely fashion and the radio repaired the same day the parts arrive. Soon our little travelers (radios) will hop on the UPS truck and be heading . The XE RSM is the first accessory from Motorola with dual microphones that helps suppress interfering background noise. It suppresses noise so effectively, you can be heard in some of the loudest environments–over pumper trucks, crowd noise and wailing sirens. A large speaker delivers audio that is 50% louder and clearer than our existing XTS RSMs. As shown, the high-visibility, bright green XE RSM features an asymmetrical shape to help you find the controls without looking, even while wearing bulky gloves. It has a large push-to-talk button and an extra-large emergency button that are both easy to locate, but shielded so they’re not set off accidentally when running, crawling or climbing. Easily accessible programmable buttons and a volume switch that ramps up and down make the microphone intuitive to use even in the most demanding conditions. A large d-ring and sturdy clamping clip ensure your mic stays attached to fire personnel’s turnout gear. Also available, the Motorola RMN5038 RSM with emergency button for the XTS series of handheld radios is on sale. Here’s what Motorola has to say about this mic: This microphone offers high/low volume control and has a 3.5mm audio jack on the microphone head. Emergency activation from the RSM is delayed until programmed Mandown Pre-alert and Post-alert delays elapse. Depending on radio model, factory defaults or previous programming could set the delay times for as long as 8 to 120 seconds. Our radio repair center offers after-warranty repair on Motorola and other brands of radios including the XTS series radios. rough treatment or poorly packed? Mobile radios and other heavy devices can be double boxed (a box within a box) or wrapped well with bubble wrap, to prevent them from banging together or shooting out the side of the box during rough shipping. Save money! 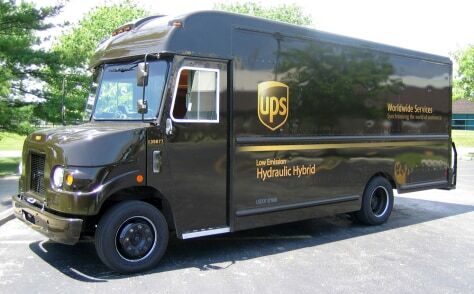 Most carriers now charge by dimensional weight (height x width x length, divided by 1.66 = UPS dimensional wt.) instead of actual weight. To keep shipping costs down, use the smallest box possible, while still maintaining 1″ of packing around your cargo. Remove extra labels when reusing shipping boxes to prevent the box from boomeranging back to you. The box in the example had both a label addressed to the Delmmar Radio Repair Center and a label from when someone else sent the box to our customer. Expedite your repairs by enclosing a copy of the Radio Repair Form and/or a packing slip letting us know who is sending them and pertinent information needed to get the radios repaired and on their way home. It’s our job, everyday, waiting and watching for those boxes of all shapes and sizes to come in the door. Send us your radios, we will fix them and get them back to you as quick as possible. Thanks! well… maybe not all the live-long day, but often enough. The radio repair center works on many kinds of radios and electronic devices associated with 2-way communications. One of the larger and more interesting is the Motorola Spectra Clean Cab Railroad Radio. Large enough to require a handle like a suitcase, these radios were built rough and tough. Ham radio users and railroad enthusiasts have been scooping up the good used ones as they become available, as the larger railroads are replacing them with newer digital style radios. If you want to see one in action you can find one here on youtube. If you are looking for one to buy, check out this one for sale on ebay.